It was hot that day in the Meadows of Hidden Treasures. The sun was beating down on the children who bustled about here and there. Hope was stirring on the grassy plains and throughout the entire land. 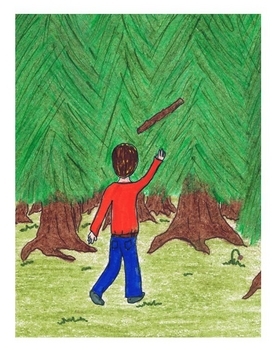 The king and his son were returning from their long journey and everyone was going to be there to great them. 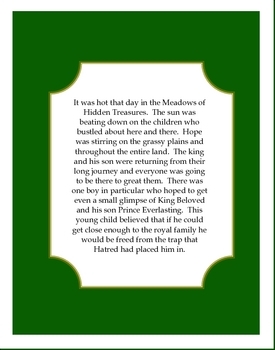 There was one boy in particular who hoped to get even a small glimpse of King Beloved and his son Prince Everlasting. This young child believed that if he could get close enough to the royal family he would be freed from the trap that Hatred had placed him in. Will the boy meet the King? Will he be free from Hatred? 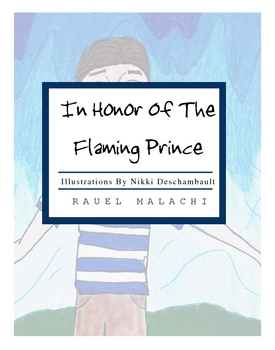 Come and discover what happens to the boy, "In Honor Of The Flaming Prince".